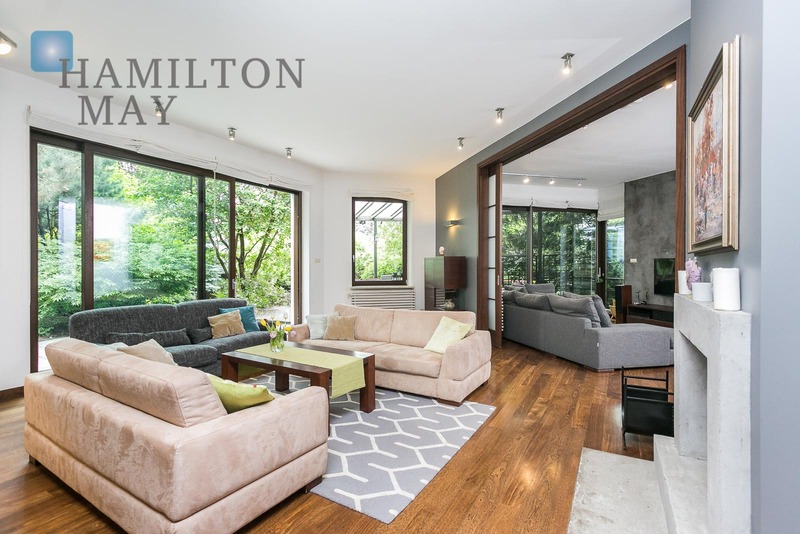 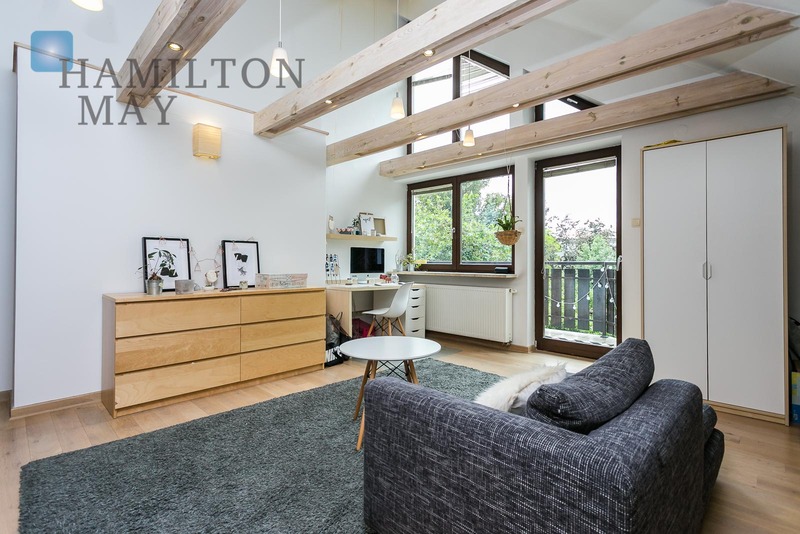 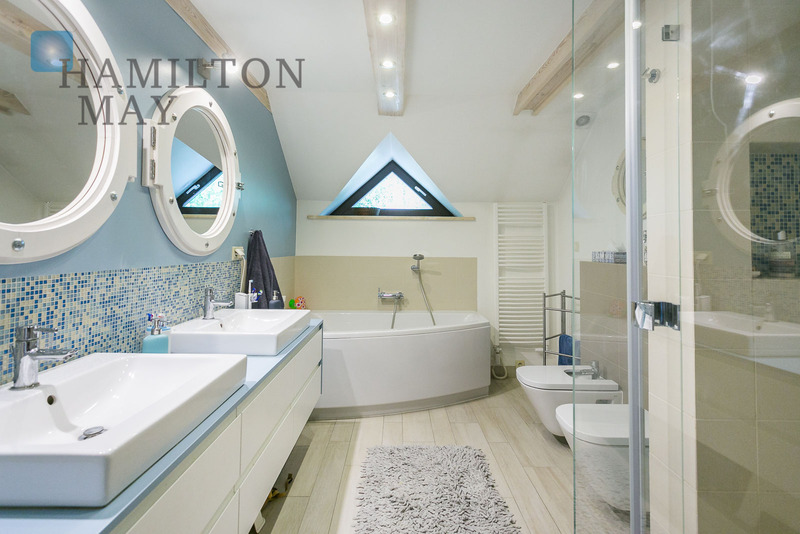 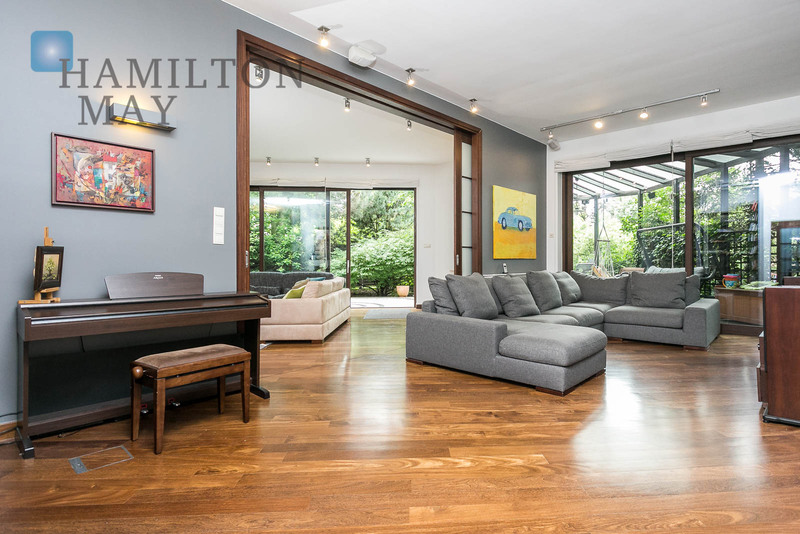 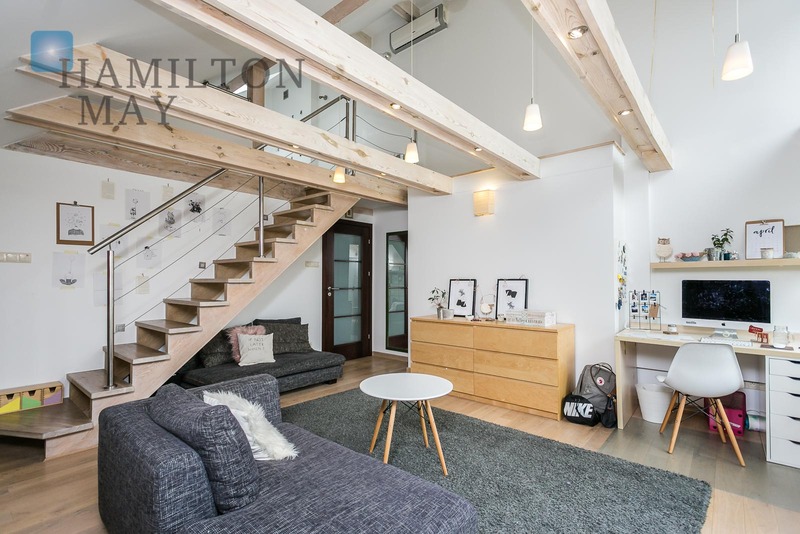 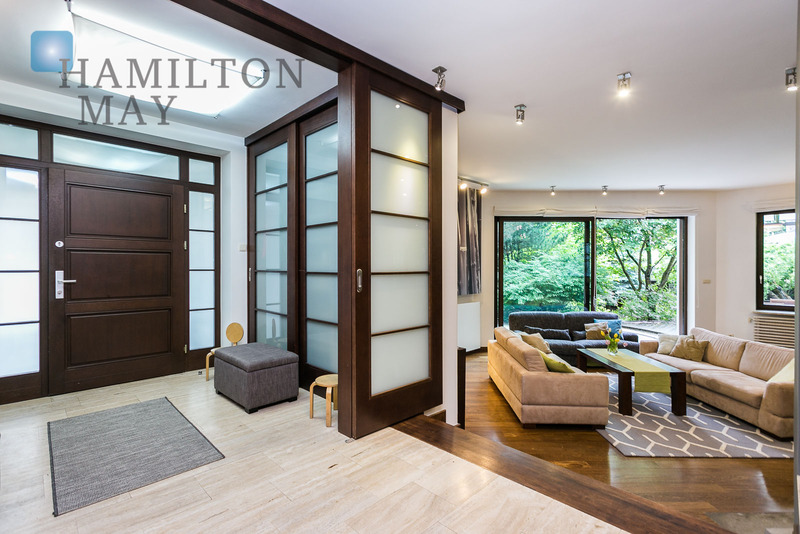 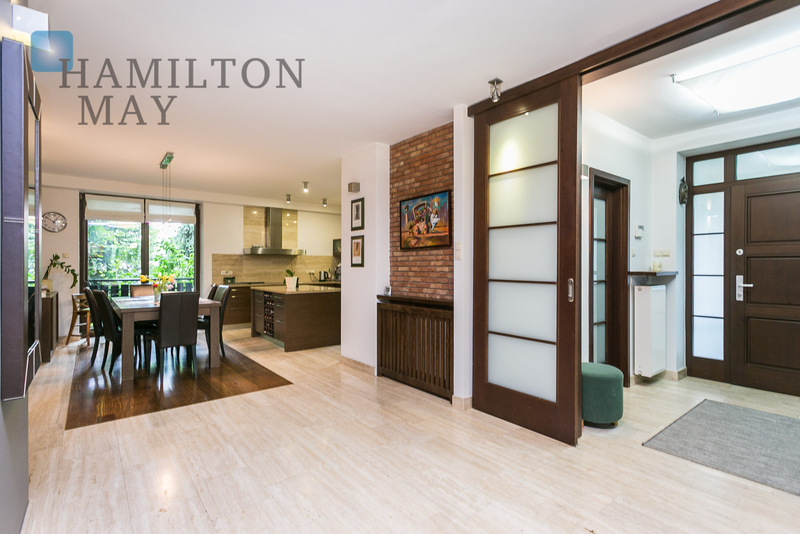 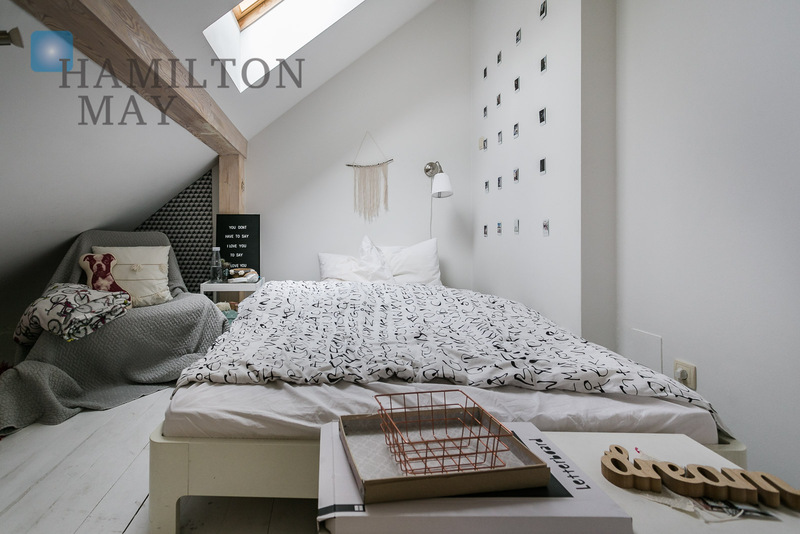 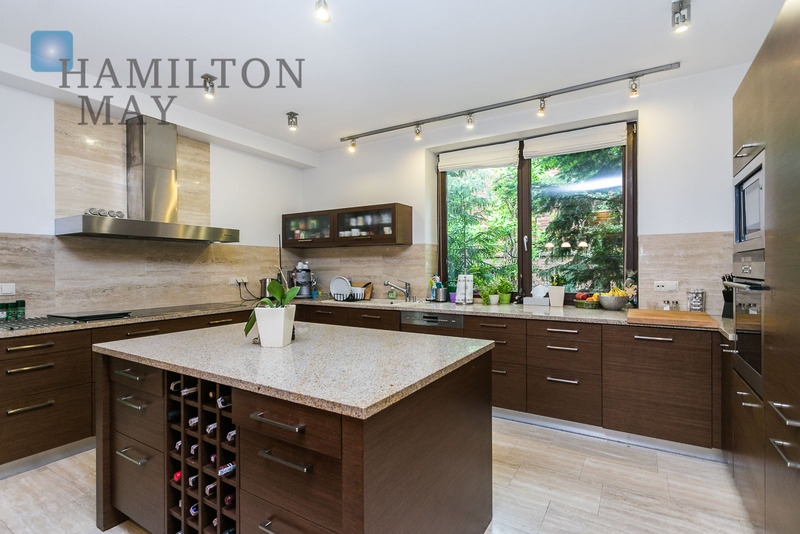 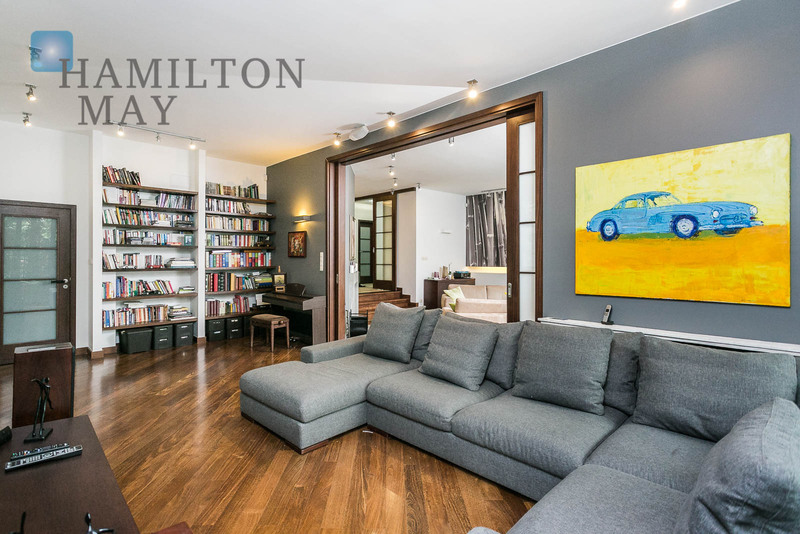 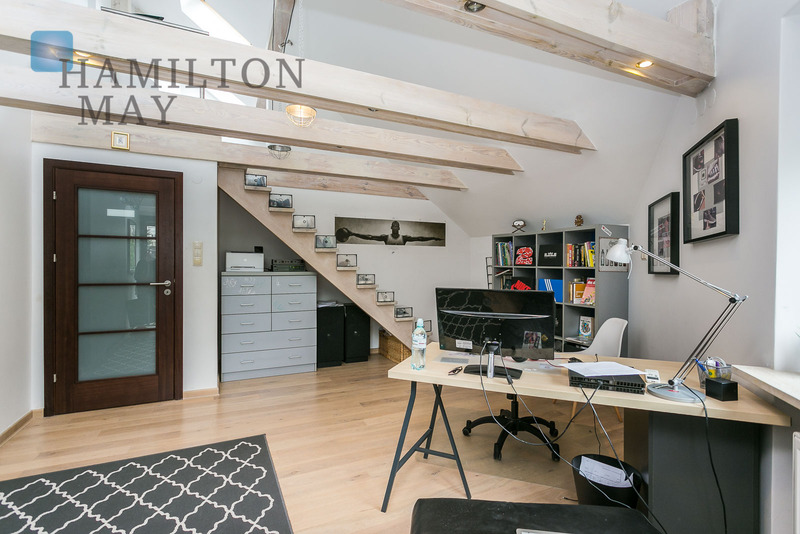 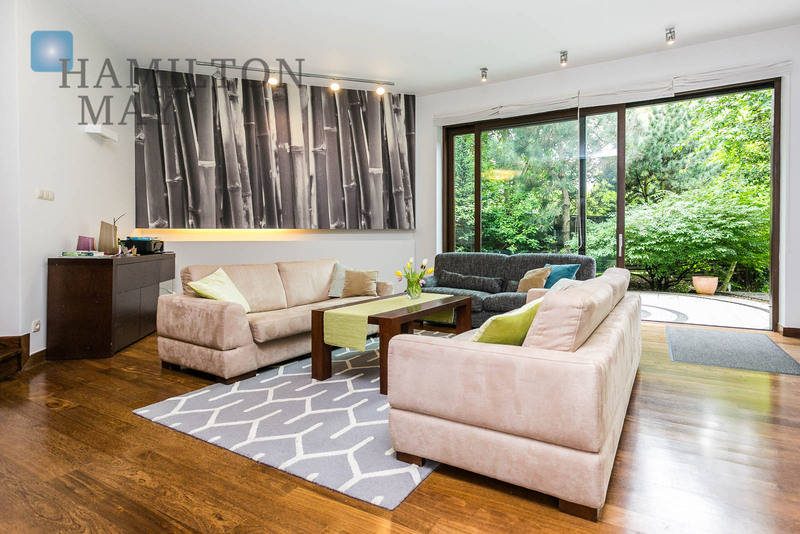 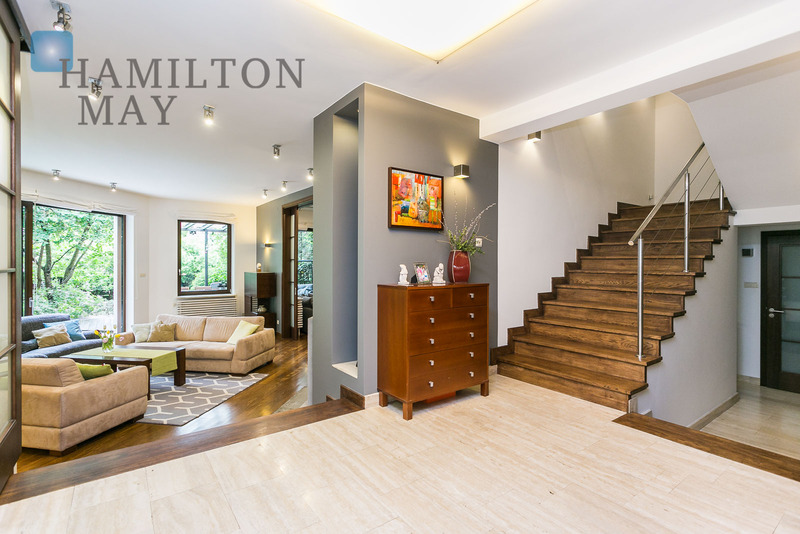 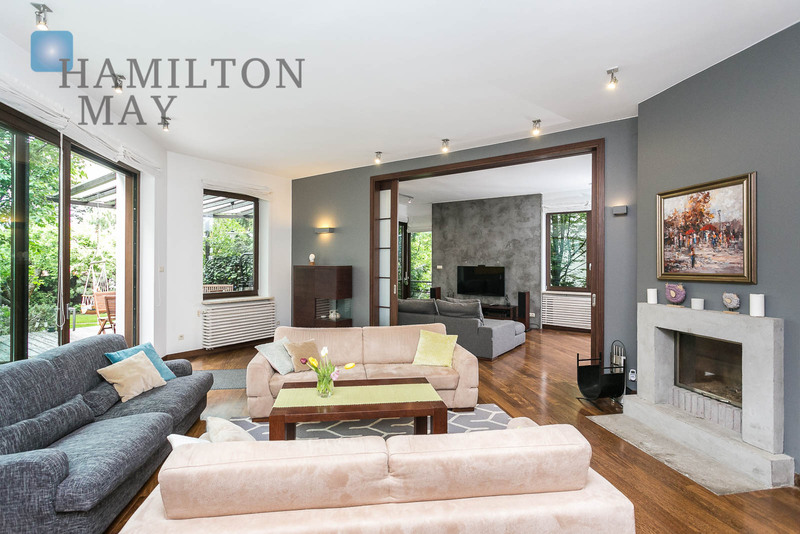 Hamilton May is pleased to present a very modern house - ideal for the most demanding clients looking for the highest finishing standard and beautiful, green area. 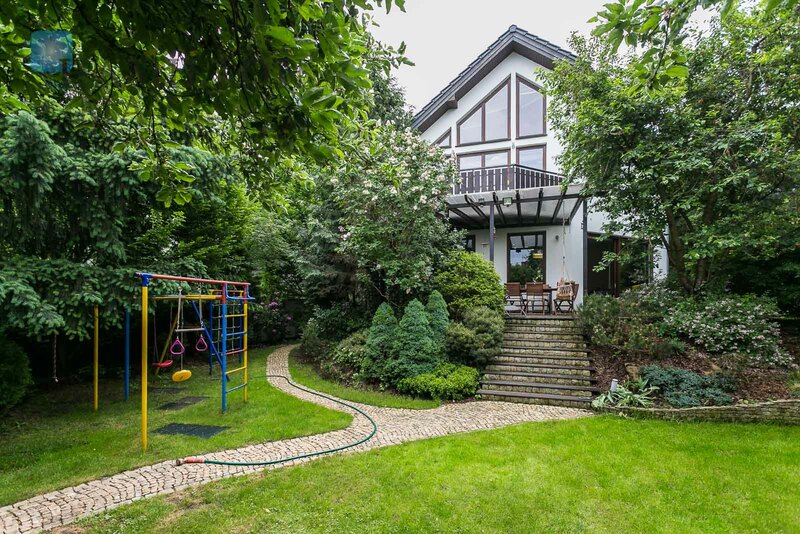 This beautiful family house has 367m2. 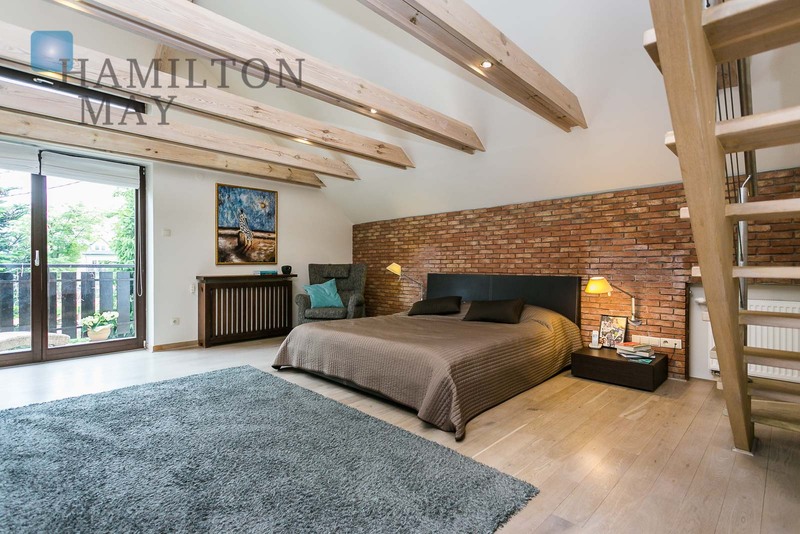 It consists of an open hall leading to the living room divided into two areas: social area with a sofa, fireplace and direct access to the garden, as well as furnished TV area, which can be completely separated by a set of sliding doors. 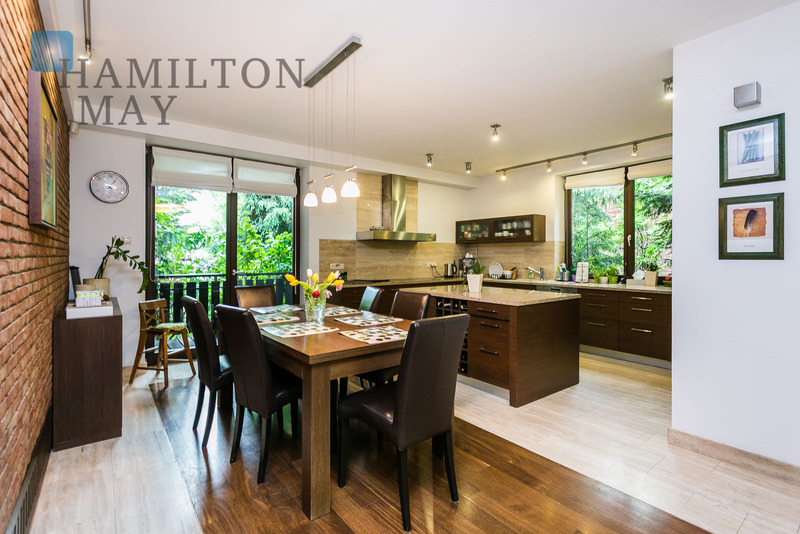 The ground floor holds a spacious kitchen with a dining room. 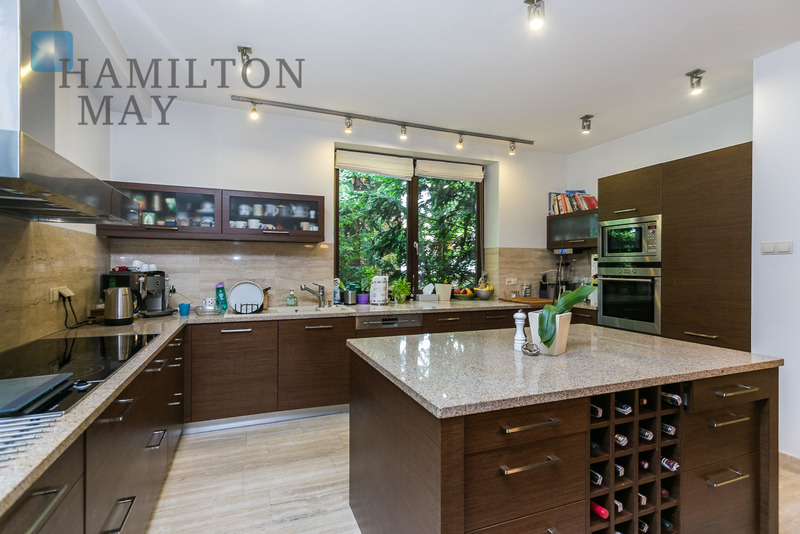 The kitchen is equipped with high-standard household appliances and has a very large cooking area. 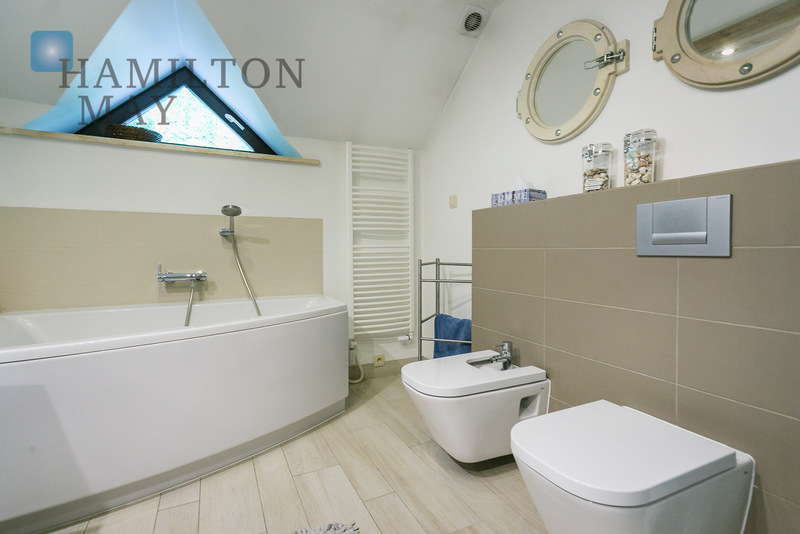 In addition, the ground floor comes with a bathroom with a shower. 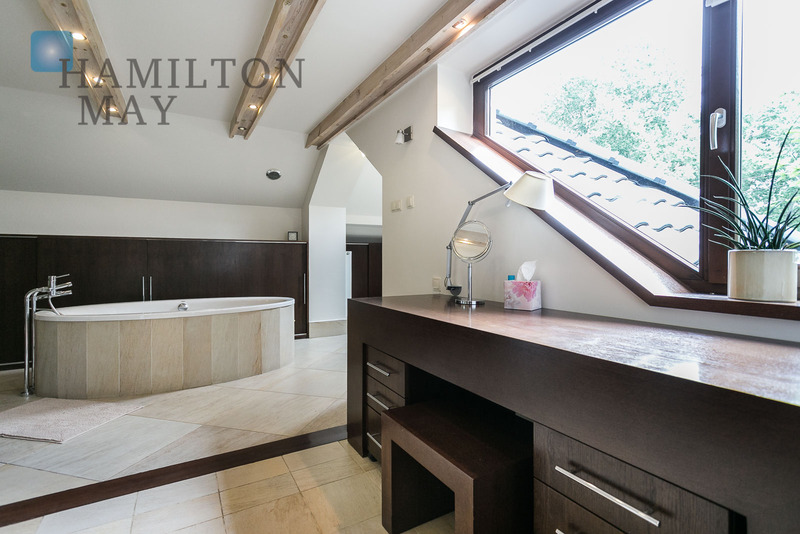 The -1 level features several utility rooms, as well as a gym and relaxation area. 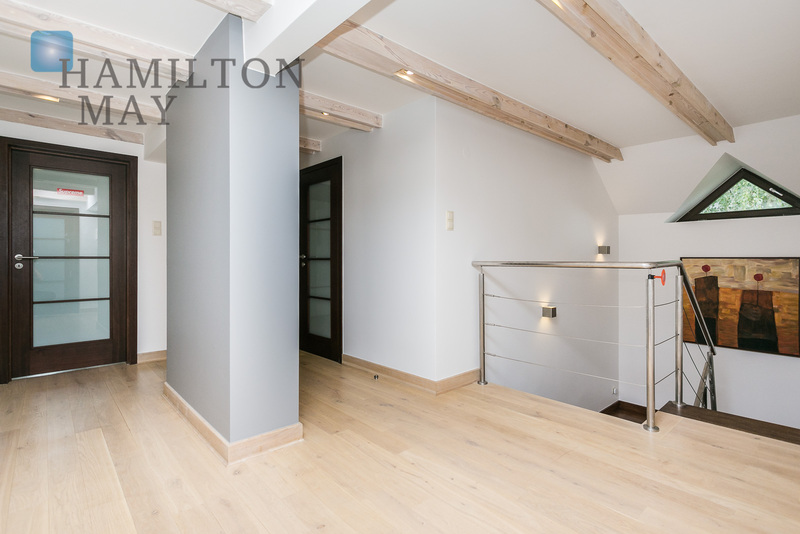 The first floor holds 4 bedrooms with mezzanines (their area is not included in the property's total floor space). 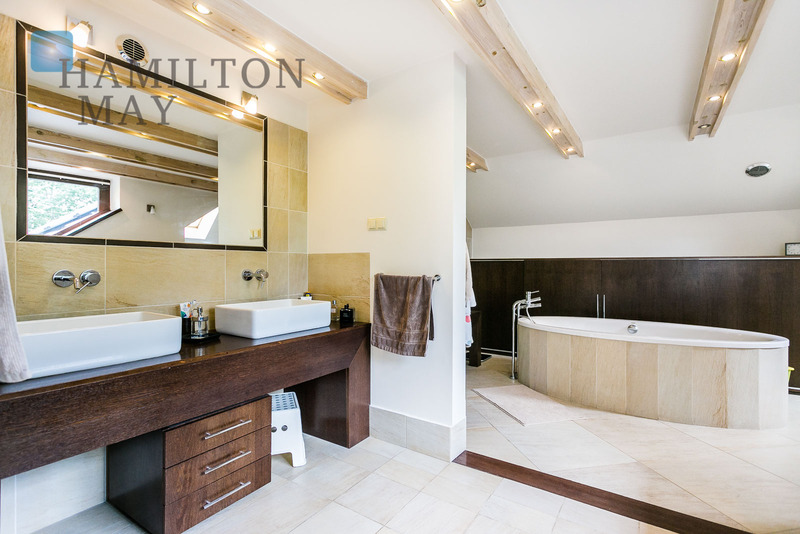 The master bedroom is connected to a bathing room while the remaining 2 bedrooms are currently arranged as rooms for children. 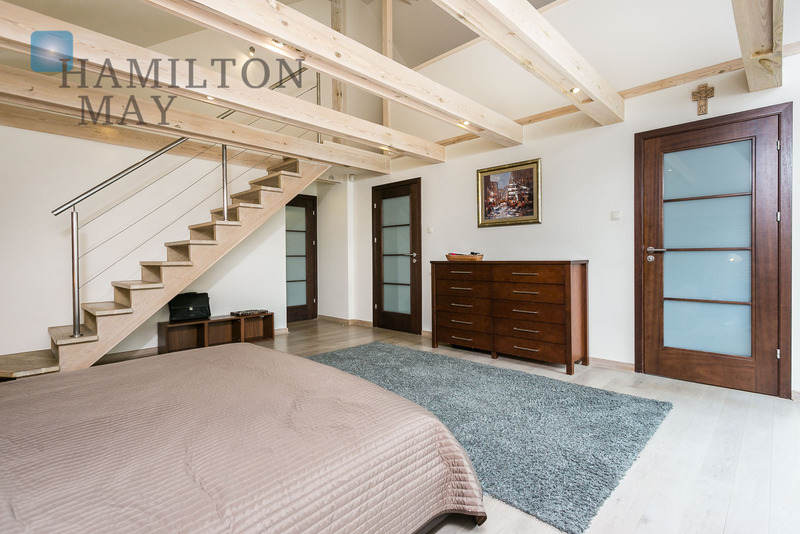 All bedrooms are fully equipped and offer plenty of storage compartments and wardrobes. 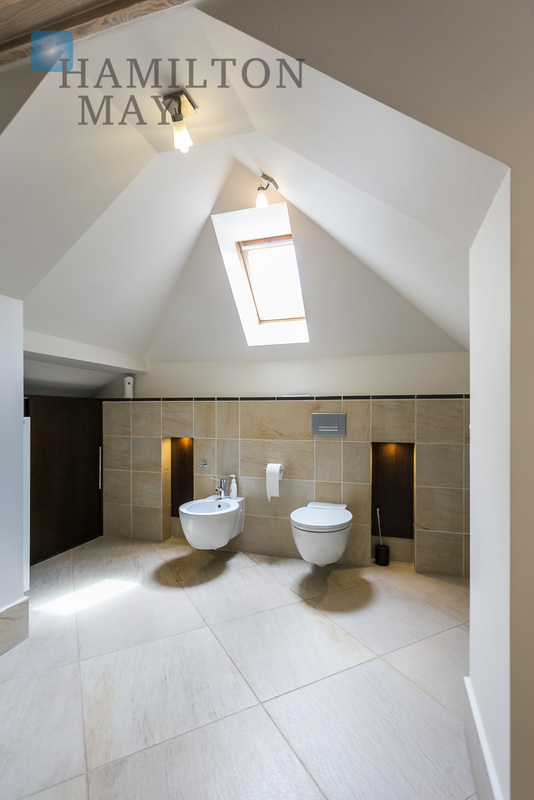 The first floor also holds a large bathroom located right next to children's bedrooms. 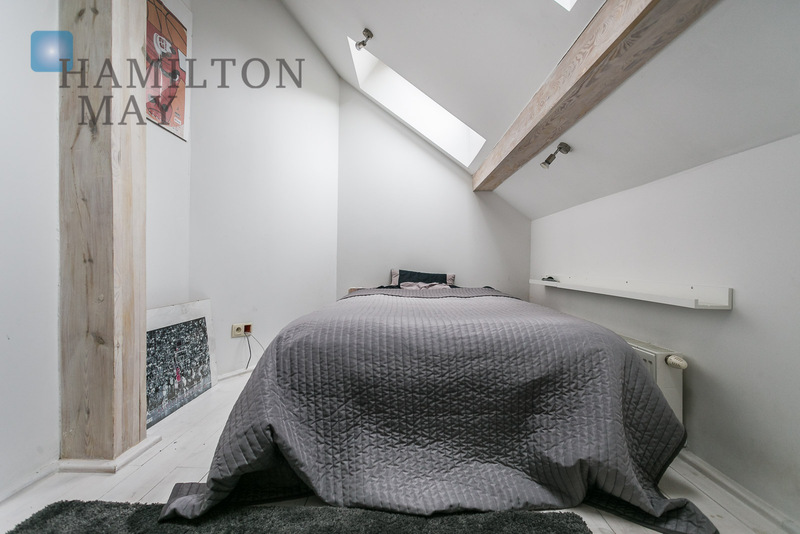 The main bedroom has access to the balcony. 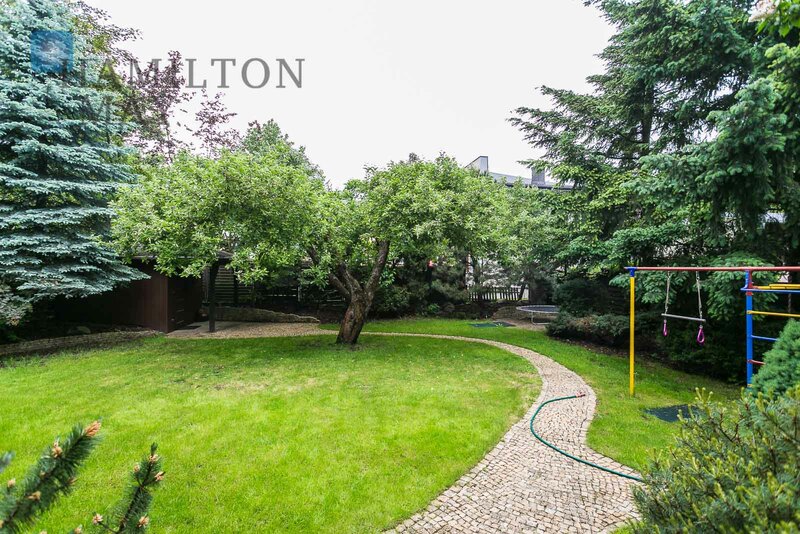 The house is surrounded by a garden with trees, large lawn and a tool storage. 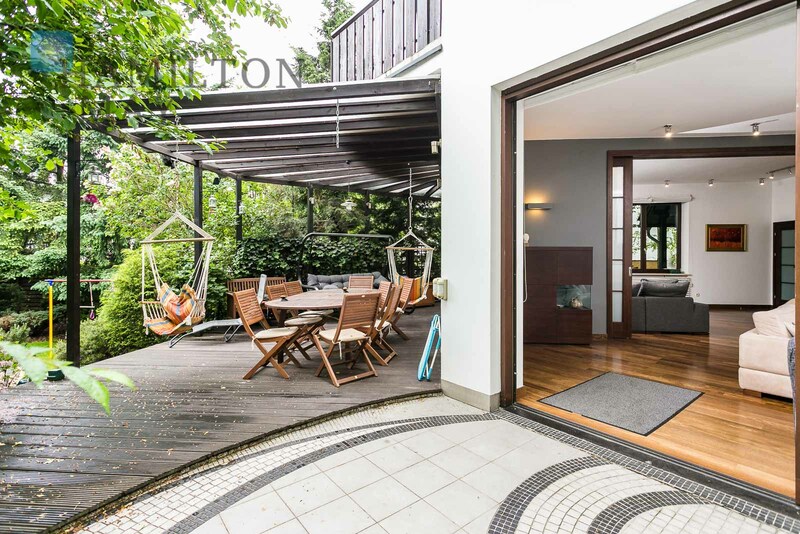 The living room leads onto a very large wooden terrace with a roof. 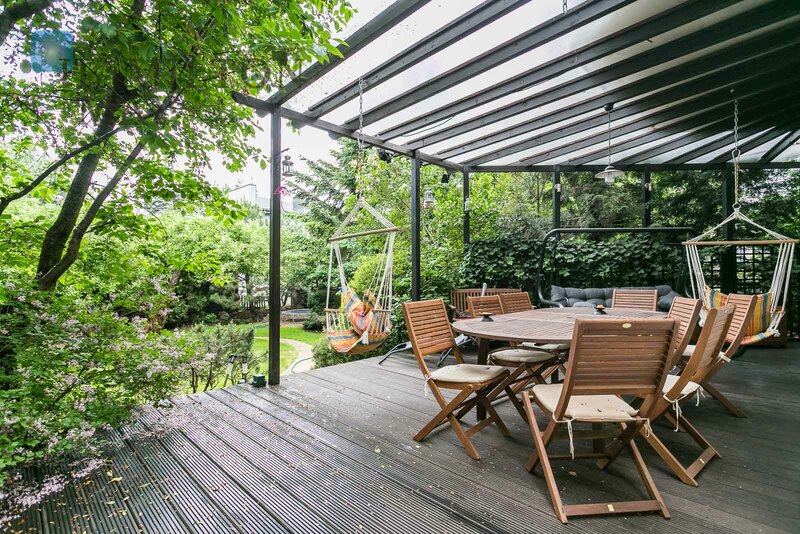 This modern, family house has underwent a thorough renovation and is surrounded by greenery. 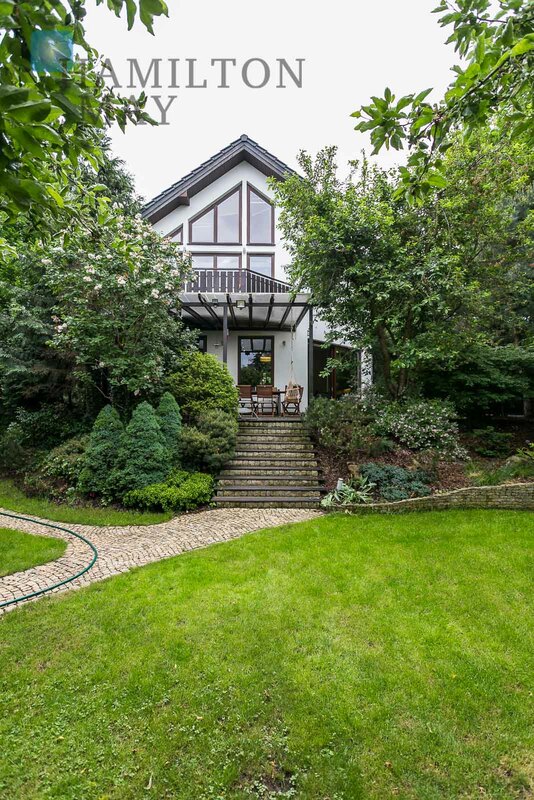 It also comes with a garden of approx. 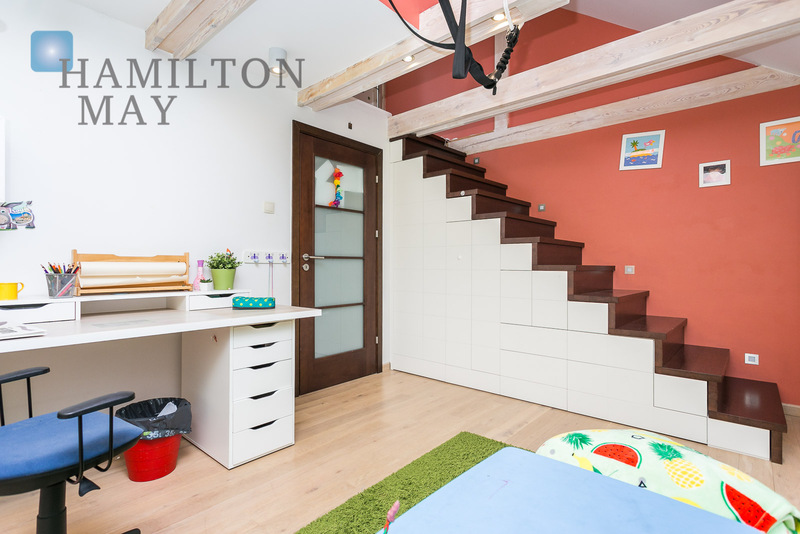 1000m2 as well as an underground garage for 2 cars (it is also possible to park in front of the building). 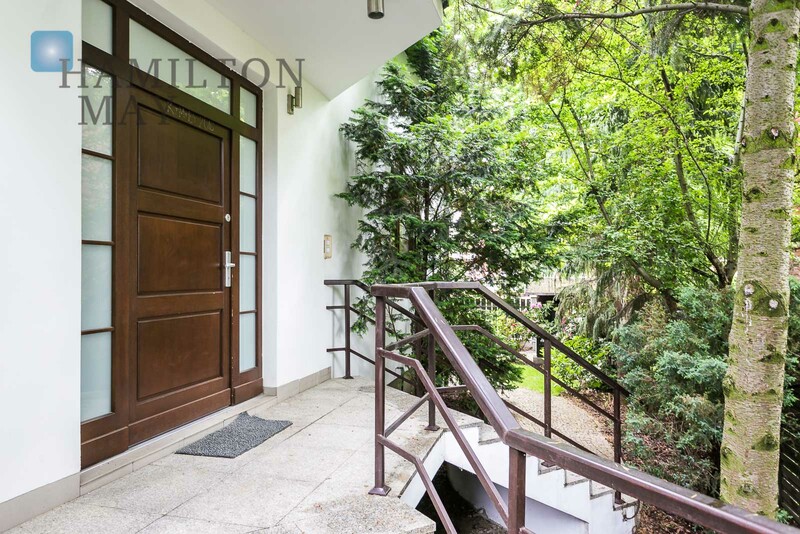 The house is located in a quiet side street in the Nowe Włochy district. 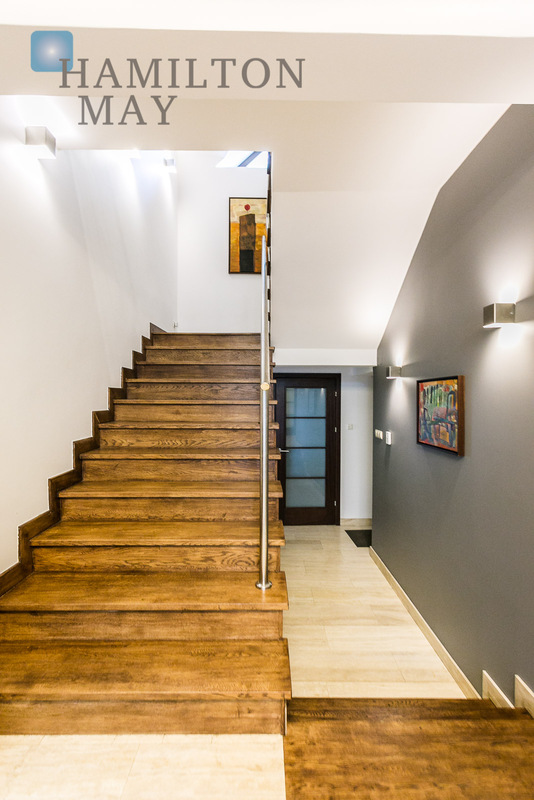 The center of Warsaw might be easily reached via the local trains or buses (a stop is located nearby).